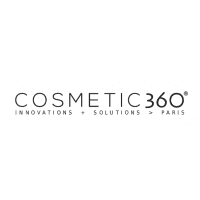 The Cosmetic 360 Awards will recognize the best innovations presented by exhibitors in each of six specialized categories, which correspond to the exhibition floor’s “expert-routes”. Winners of this competition will be chosen by a jury of leading cosmetics industry journalists, who will make their decisions on the basis of project novelty and the quality of booth signage advertising the showcased innovations. The winners of each specialized category will receive their prize in an official ceremony which will take place on Wednesday, October 17th, at 6p.m. on the COSMETIC 360 trade fair in the presence of the organizing team, the jury and the sponsors. On Tuesday, October 9th, 2018, the jury gathered together to select the 3 nominees of each expert-route, from among all the exhibitors who had submitted the competition. On the trade fair, find the nominated exhibitors with a special badge posted on their booth! ECENTIME: scalable social selling to Chinese consumers. A trusted shopping Chinese community where consumers can find the brands and products they love. BEAUTY BY ME (booth ST23): BeautyMix, your new friend in DIY cosmetics! Make your own natural beauty products at home, quick & easy from scratch! Customise your recipe, our connected device does the rest. NANOPHARMA: [n]FibreCare dry sheet nanofibre mask. A brand-new concept of a sheet mask combining powerful nano delivery system, up to 20% of active content and mess-free experience. CEAPRO: new generation dry botanical ingredients! Exclusive oat actives for health & beauty, proprietary processing technology, standardized Oat Avenanthramides et þ-glucanes. GLYCONIC: enhanced natural phyto atives with better efficacy and advanced formulation properties via directed glycosylation. AROMA BIT, INC: Aromacoder is an odor sensing and visualizing system that can encode any odor as a graphic pattern intelligible to humans. INNOVENDO LIFESTYLE TECHNOLOGY AG: Clipexerience, activate emotions! An innovative two chamber capsule system for your brand: take a step of your competitors and amaze your customers. TECH NATURE: BB GEL, these magic pearls melt into skin to reveal a natural complexion. Moisturizing, anti-angeing and smoothing properties. CMSMARTCONNECT (booth ST11): plateforme QR code, NFC, réalité augmentée. Accompagnement complet dans la réalisation de vos projets « connectés », expertise technologique – marketing – data analytics. MOBEEFOX (booth ST9): smart mobile solutions for intelligent pack. Product informations on your smartphone adapted to the location, the language, the weather, pollution index and UV. PLASTIPOLIS (booth F8): holographic printing (gloss, depth, sparklinh, highlighting, shimmer and more) sublimes your packaging. ANTI OXIDANT POWER - AOP: reveal the cytoprotective power of your ingredients and products with the innovative LUCS technology (Light Up Cell System). KAMAX INNOVATIVE SYSTEM: K-PROBE : Xpolar microscopy. First slide scanner with polarized light. A quick, simple and objective evaluation to male visible your product efficiency. MICROFACTORY: Smartpore ™ : artificial pore for efficiency test! Cutting-edge technology: fast and reliable in-vitro test for hygiene products, 60 times faster than traditional methods. DINOV GROUP INTERNATIONAL (booth ST25): the first leading cosmetic influencers network! Get credibility from key opinion leaders; purchase advertising space, creative content; book influencers online; share events. ECOMUNDO (booth N17): formula check software. Get your product’s classification & formula compliance review in 1 click for Cosmetics and OTCs in the USA. VEEVA: agility at the speed of your imagination. Align your cosmetic business to Quality & Regulatory requirements. Bring innovative, high-quality products to market faster.